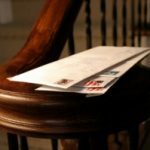 In case you haven’t heard, the USPS is planning on closing over 3, 600 locations. Believe it or not, of their roughly 32k locations, only about 6k (19%) cover their costs, so it’s time for a change. Is your favorite location in danger? Find out by clicking through and checking the official list. I’d be curious to know how many of those locations that generate less than $27, 500/year or have very light workloads are in small towns with just a single Post Office. This will be a huge bummer for them. The good news for those that are affected by such closings is that the Postal Service will seek partnerships with grocery stores and gas stations in those locales to ensure continued service. As for those other, highly redundant locations, I’d say that it’s about time. I feel for those that are losing their jobs, but the USPS is hemorrhaging money, and something has to change. In fact, I’d bet they could find even more that could be closed without significantly impacting their service. After all, how many postal locations do we need in a half (or even two) mile radius? Amazingly, all of these closing will barely make a dent in the $8.5B loss that the USPS suffered in 2010. In fact, the closings are expected to generate just $200M in savings. For the sake of comparison, dropping Saturday delivery would reportedly save over $3B per year, which would actually make a meaningful dent in their deficit. Obviously, with such staggering losses, they’ll have to make numerous changes, so I suspect the closings are just the tip of the iceberg. Okay… Let’s hear it. 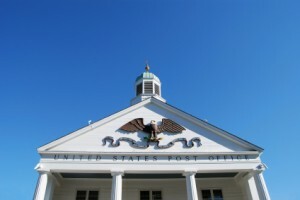 Is your favorite Post Office on the list? I’m pleased (but not particularly surprised) that our location, where I have a P.O. Box, will remain open. How Much Does a Million Dollars Weigh? My letter carrier said that the reason the USPS was so deep in the red is that there are 11 administrators for each postal worker. Too top heavy. Cut at the top and work their way down. Good for the government. They need to close more post offices. They also need to look at the quality of service that greets their customers at the sales counter too. 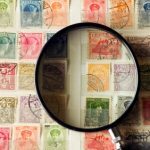 There is a reason why the USPS hemorrhaged money last year, and it is not all about overspending, too many post offices, poor budgeting, and the decline of stamped letter revenue. I may actually go into a post office if it didn’t take me half a day waiting on the one worker behind the counter. First, thank you for the handy link to the list. Mine was not on the list. But even if it were, it would not be a big deal for me – I would just go to the next closest branch. With an entity that is loosing as much money as the USPS is – all options should be on the table. Maybe this is just me – I do not really use the post office much any more, but cutting back on delivery days makes a bunch of sense to me. Take a look at a predominantly rural state (South Dakota, for example), and look up the populations for the towns/cities of each PO listed. Care to guess how many will come back greater than a population of 5000? I value having the PO open on Saturday and having Saturday delivery. Elimination of a weekday (such as the previously proposed Tuesday, which is “slower” as it contains the Saturday mailings) would work better, in my eyes. If you can still get mail delivery on business days the post office doesn’t seem to matter much. You can get stamps or prepaid labels online and how often do people mail packages these days anyway? Having lived in a small town (the biggest in the area) I can say that going without a post office wouldn’t have been a huge burden. There were also numerous tiny towns within 20mins of ours where the only way you knew they were there was the post office. +1 for getting rid of Saturday delivery. I saw quite a few towns that I know on the list in Missouri. Very few will be missed by all that many people. I’ve lived in Rural areas most of my life and I don’t need a post office within 5 miles. If it’s critical enough that it can’t wait till tomorrows mail pickup, then it’s probably urgent enough to warrant a 10 mile trip. Many people don’t realize that you can buy stamps from your delivery driver. My ex-girlfriend’s dad is a rural postal delivery man and people would leave a check in the box and he would leave them stamps. My understanding is that the USPS has wanted to shut down inefficient postal offices for some time but it can’t legally do so. The law stops them from closing rural post offices for economic reasons. The reasoning is that the USPS is supposed to serve everyone and if they closed the inefficient rural POs then they’d not be able to serve rural people as well.